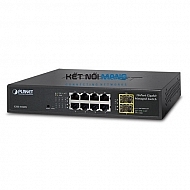 PLANET GSD-1002M is an 8-port 10/100/1000Mbps + 2-port 100/1000X SFP Managed Desktop Switch specially designed to build a reliable full Gigabit backbone to transmit and forward data to remote network through fiber optic. 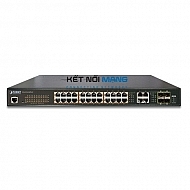 It provides 8-port 10/100/1000Base-T copper and 2 extra 100/1000Base-X SFP fiber optic interfaceswith dual power system. 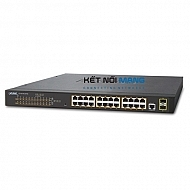 Besides support for 20Gbps switch fabric to handle extremely large amounts of video, voice and important data in a secure topology, the GSD-1002M provides user-friendly but advanced IPv6 / IPv4 management interface and abundant L2 / L4 switching functions. 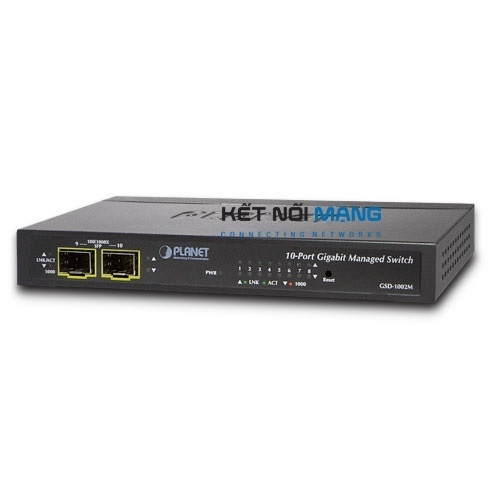 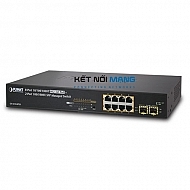 It is the best investment for businesses/SOHOs expanding or upgrading their network infrastructure.